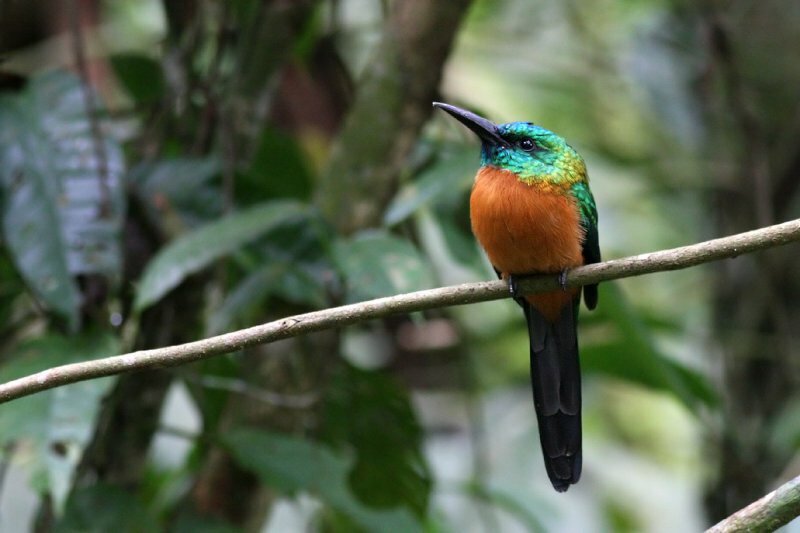 French: Grand jacamar; German: Breitmaul-Glanzvogel; Spanish: Jacamar Grande. 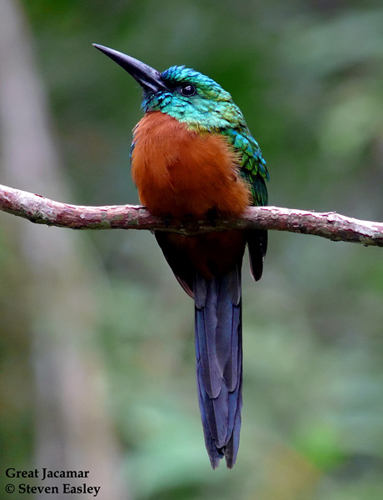 The largest jacamar: 12 in (30 cm) long, with thick, slightly curved bill. 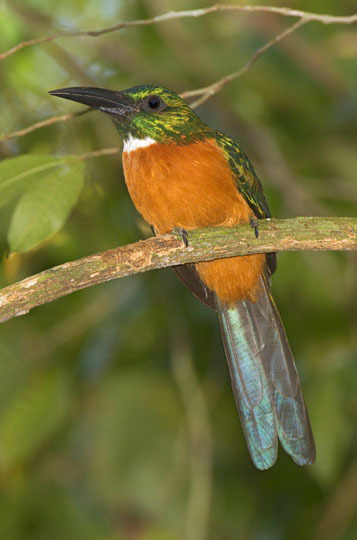 Metallic green upperparts, white narrow band on throat, rufous underside, with bluish black underside of tail. Venezuela, Ecuador, Costa Rica, Bolivia, and Amazonian Brazil. 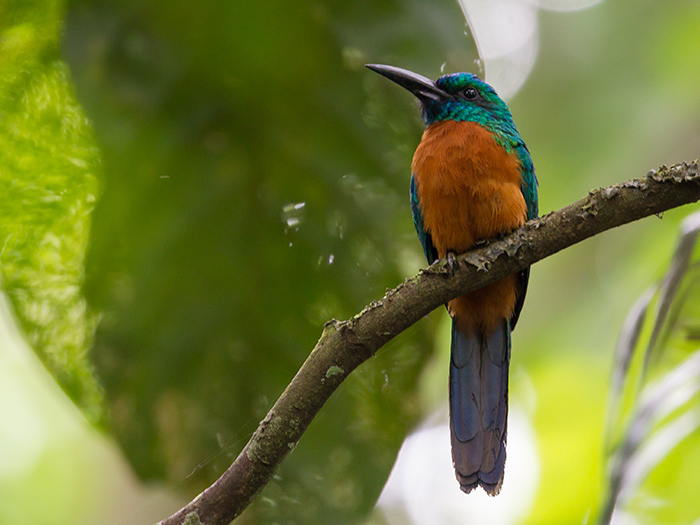 Quieter and slower moving than other jacamar species. Known for its mournful-sounding call. Preys on flying insects. 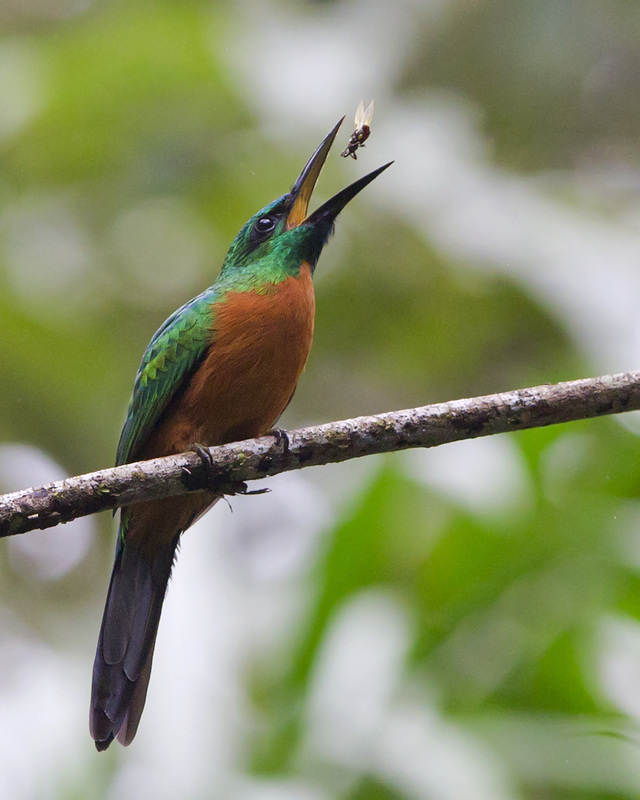 Catches prey in mid-air and batters it against a branch before consuming it. Lays one to four white eggs in ground-hole nest cavity. Incubation is 20–23 days. Chicks emerge from nest after 21–26 days, covered in white down. Both sexes incubate, and care for chicks.